Multiple shoulder injuries are hard to play through, especially for sports enthusiasts who are used to being constantly on the move and active. David Apel had an appointment with Dr. Armin Tehrany after his mountain biking accident that resulted in multiple shoulder injuries. David had suffered an AC joint displacement, torn ligaments, a partially detached bicep, a rotator cuff damage, and a SLAP tear. 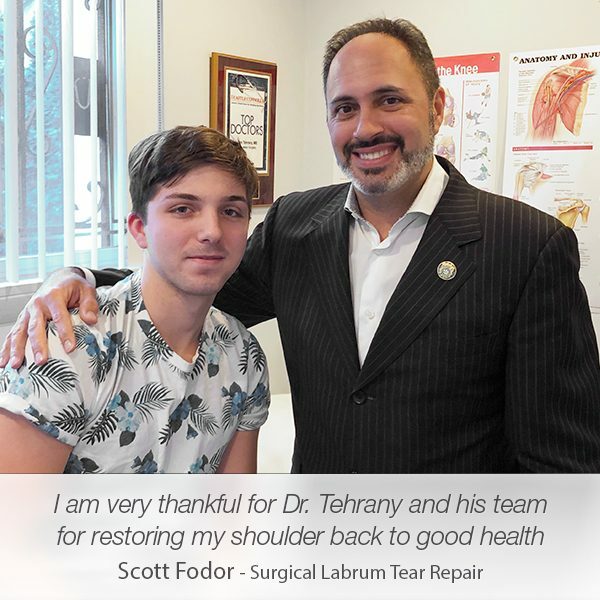 Right after the accident, David saw two other orthopedic doctors, but when he met Dr. Tehrany, he was sure that he was finally in the hands of a true professional and a shoulder specialist. Dr. Tehrany’s bedside manners and the way he thoroughly explained everything to David, made him feel strong about proceeding with Dr. Tehrany. 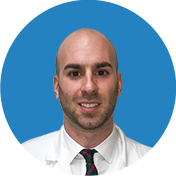 In spite of the complexity and the severity of David’s shoulder injuries, Dr. Tehrany managed to solve the overwhelming situation by recommending an arthroscopic surgery to address all injuries at once. 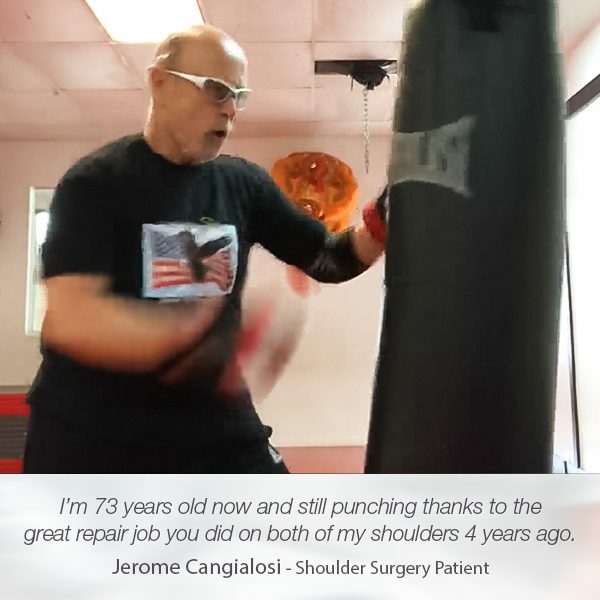 “This was an unusual arthroscopic shoulder AC joint reconstruction I performed on this gentleman who fell off of his bicycle. He had a terribly big deformity, one of the largest I’ve seen. His condition required complex surgery that orthopedic surgeons usually perform with an open shoulder. 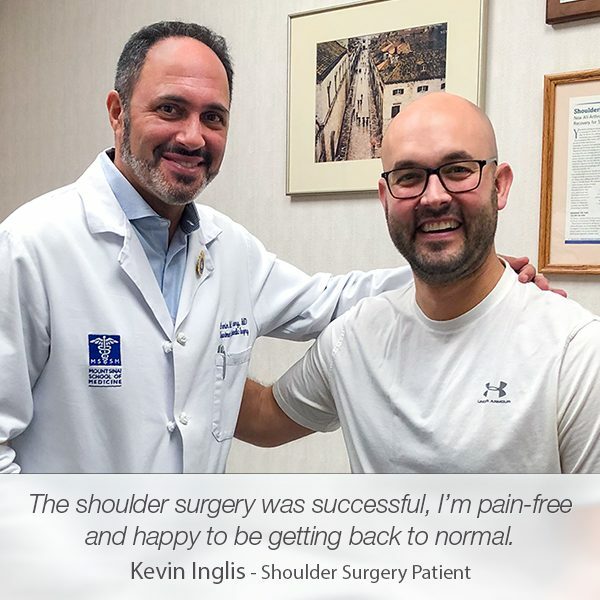 We managed to successfully address the issues arthroscopically, and perform a minimally invasive shoulder surgery that left minimal, almost none scarring, and successfully treated Mr. Apel’s shoulder injuries. 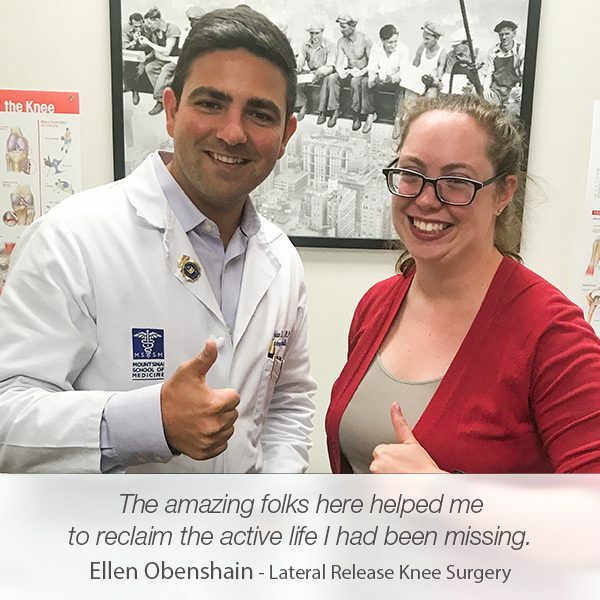 Moreover, the arthroscopic approach allowed for Mr. Appel to leave the surgical center the same day, and regain his full strength within the span of one month,” said Dr. Tehrany. The entire surgical process was perfectly seamless. Shortly after the surgery, David began recovering and regaining his full range of motion. One month after the surgery, David felt amazing and thrilled to continue with his sports activities like the accident never happened. The upside of his story was that his strong and healthy body helped him recover faster and better than other surgical patients. 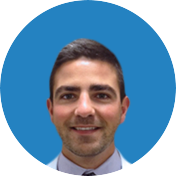 “I had a mountain biking accident that resulted in an AC displacement, torn ligaments, a partially detached bicep, rotator cuff damage, and a slap tear. Dr. Tehrany was the third surgeon I saw after a few days in a trauma center. The manner in which he described the injuries and the treatment was the only thing that made sense to me. The surgery was actually a pleasant experience if that makes any sense! 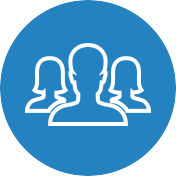 It was handled in a surgical center that was very individually focused. I actually was at work the same afternoon! Exactly one month later, I have nearly full range of motion and feel amazing. I will be better than ever soon. The downside is that people who haven’t seen me since before the accident think I was overstating the injuries since I seem like nothing ever happened. 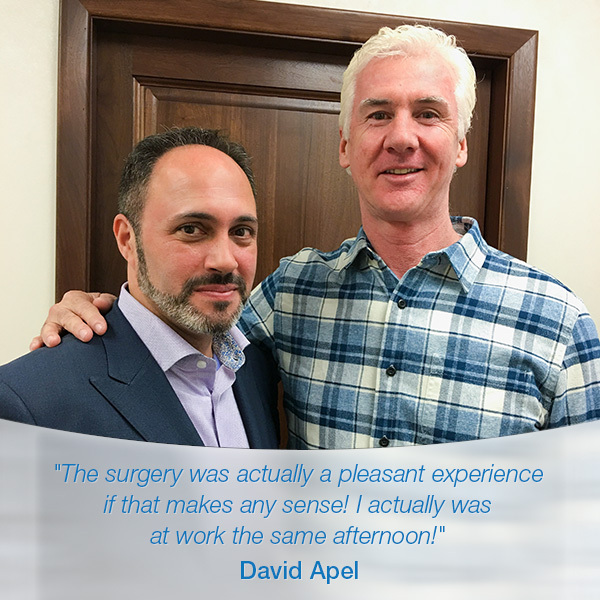 The whole team at Manhattan Orthopedic Care is thrilled with David’s super-fast and successful recovery. “He is doing so well that I need to slow him down!” says Dr. Tehrany. 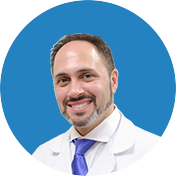 We are honored that David trusted Dr. Tehrany’s skills and knowledge, and let him perform one of the unusual arthroscopic shoulder AC joint reconstruction.